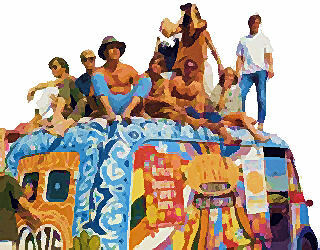 During the tumultuous 1960s, BY High remained an island of calm. Vietnam and the front lines of the civil rights movement were important, but distant. 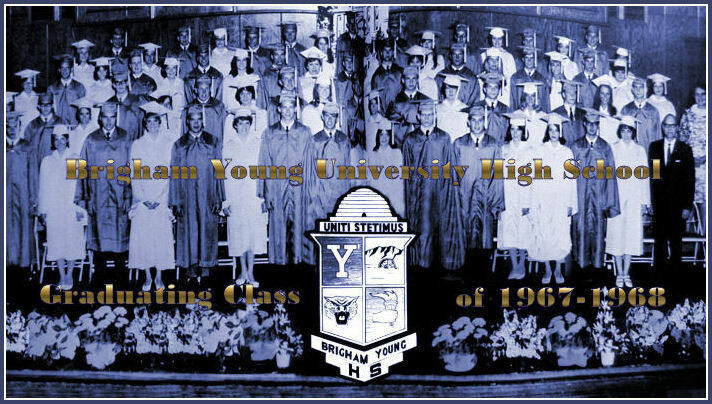 During this era, Brigham Young High School was led by four principals. First was Dr. Max J. Berryessa, who served from 1958 to 1961. 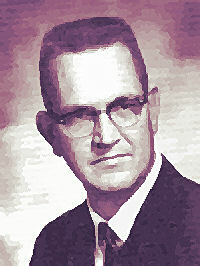 The second was Dr. Dwayne Belt who served during the 1961-1962 academic year. Third was H. David Nelson, from 1963 to 1964. 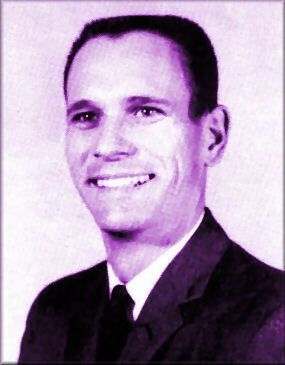 He was followed by Lowell D. Thomson, who served from 1964 through the final BYH Commencement at the end of the school year in 1968. The decade began with Dwight D. Eisenhower as President of the U.S. -- he served through 1961. His vice president, Richard Nixon, ran for the presidency against Senator John F. Kennedy, and lost. Kennedy, a Democrat from Massachusetts, brought a youthful vigor to government, inspiring many young people to aspire to government service. In January of 1961, Soviet Premier Nikita Khrushchev pledged support for "wars of national liberation" throughout the world. This greatly encouraged Communists in North Vietnam to escalate their armed struggle to unify Vietnam under Ho Chi Minh. 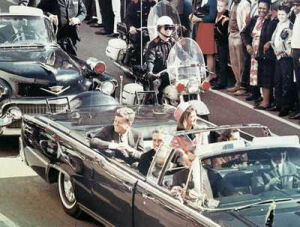 In the same month, John Fitzgerald Kennedy was inaugurated as the 35th U.S. President. He declared "...we shall pay any price, bear any burden, meet any hardship, support any friend, oppose any foe, to insure the survival and the success of liberty." In May President Kennedy dispatched 400 American Green Beret "Special Advisors" to South Vietnam to train South Vietnamese soldiers in methods of "counter-insurgency" in the fight against Viet Cong guerrillas. By fall, the conflict had widened as 26,000 Viet Cong launched successful attacks on South Vietnamese troops. South Viet Nam's President Diem requested more military aid from the Kennedy administration. President Kennedy sent additional military advisors along with American helicopter units to transport and direct South Vietnamese troops in battle, thus involving Americans in combat operations. The number of military advisors sent by Kennedy eventually surpassed 16,000. In the midst of this, Khrushchev sent missiles to Cuba that were capable of striking the mainland United States. This instigated the Cuban missile crisis, bringing the U.S. to within an "eye-blink" of nuclear war with the USSR, before Khrushchev ordered the ships carrying the missiles to turn away from Cuba. Back in Vietnam, the South Vietnamese Army was operated by officers personally chosen by President Diem, not for their competence, but for their loyalty to him. Diem instructed his officers to avoid casualties. Their primary mission, he told them, was to protect him from any coups in Saigon. Flagrant anti-Buddhist actions by the South Vietnamese government lead to widespread rebellion in South Vietnam. Political pressure now mounted on the Kennedy administration to disassociate itself from Diem's repressive, family-run government. As the overall situation worsened, high-level talks at the White House focused on the need to force Diem to reform. On November 2, 1963, rebel generals assassinated South Vietnam's Diem and his hated brother, Nhu. At the White House, a meeting was interrupted with the news of Diem's death. According to witnesses, President Kennedy's face turned a ghostly shade of white and he immediately left the room. Later, the President wrote in his private diary, "I feel that we must bear a good deal of responsibility for it." Saigon celebrated the downfall of Diem's regime. but the coup resulted in a power vacuum. A series of military and civilian governments seized control of South Vietnam, and the country became totally dependent on the United States for its existence. 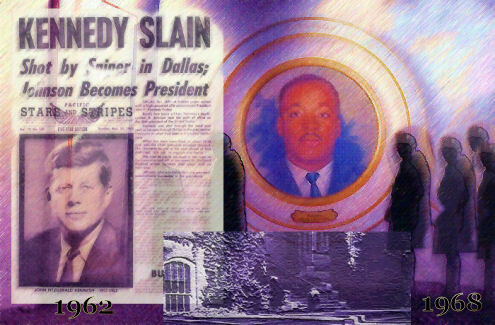 On November 22, 1963, BY High students and people all over the world were shocked during their final morning class and lunch hour to hear that Kennedy had been shot in Dallas, Texas. Students huddled around radios, and many shed tears when they learned Kennedy had died. 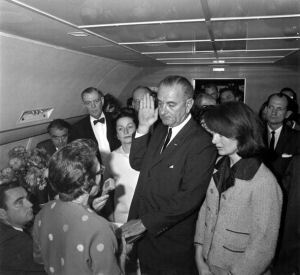 These were the days before around-the-clock television news, and for perhaps the first time, all routine programming was suspended as news of every detail of the assassination aftermath was broadcast "in real time" including a still photo of Lyndon Johnson being sworn in as 36th U.S. President on the Presidential airplane. This was followed by the flight of the Johnsons, Mrs. Kennedy and the body of her husband to Andrews Air Force Base, an endless procession of people viewing the casket of President Kennedy in the U.S. Capital building, followed by the long funeral procession and funeral. The entire nation reeled in shock. In the United States, the Civil Rights Movement raged from 1960 to 1965, and turmoil increased as anti-war demonstrators took to the streets and disrupted college campuses in the years from 1965 to 1970. Johnson was the fourth President forced to cope with Vietnam, and he managed a massive escalation of the war while retaining many of the same policy advisors who had served under Kennedy. In the summer of 1965, the U.S. sent massive numbers of troops to Vietnam. Sixty-two BYU students were killed in the war. To the best of our knowledge, no BY High students died in Vietnam. Despite the violent times, Utah's relative isolation was interpreted by its friends as "a place of refuge" and "above the fray" while its critics termed it a "backwater" culture. As if to prove both sides correct, the big news in the fall of 1964 was that the new BYU Cougar Stadium had been completed. In the same year the Flaming Gorge Dam on the Green River was finished. Then Glen Canyon Dam in Arizona was completed, creating the new Lake Powell, the second largest man-made lake in the U.S. The controversies surrounding the construction of Glen Canyon Dam and Lake Powell are often cited as the beginning of the modern-day environmental protection movement. In 1965, Canyonlands National Park was opened. 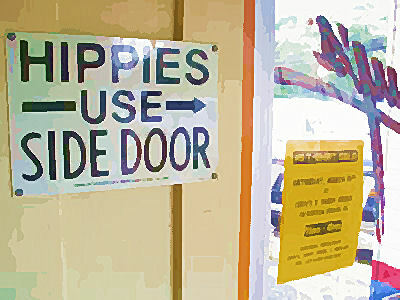 A rebellious new youth counter-culture, disenchanted with paternalistic government, corporate greed, racial bigotry, inhumane war, hypocritical morals, and "anyone over 30", resulted in the "flower-power" years -- the "hippie movement." Centered in California, it spread across the nation, including Utah. This cultural revolution coincided with the popularity of the Beatles and many other pop music groups seen as advocates for psychedelic and recreational drug use. The structures and institutions they rejected came to be called "The Establishment". While only a few BY High students transformed themselves into hippies, everyone was somewhat influenced by the music, the rebellion, and the desire to reject false and materialistic values. In 1967, the Israeli Six-Day War, fought between Israel and its Arab neighbors Egypt, Jordan, and Syria, shocked the world again. The war exploded following the Arab's closure of the Straits of Tiran to Israeli shipping and the deployment of troops in the Sinai near the Israeli border, coming after months of increasingly tense border incidents and diplomatic crises. Israel launched what it considered a pre-emptive attack against Egypt. By the end of the six days, Israel controlled the Gaza Strip, the Sinai Peninsula, the West Bank, and the Golan Heights. The long-term results of that war affect the geopolitics of that region to this day. 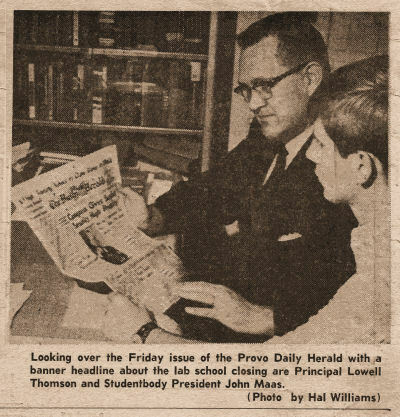 At Brigham Young High School, a crisis arose in 1966 when rumors circulated among the faculty that BYU was planning to close the BYU Laboratory School system. M. Rex Arnett, a faculty member who was leaving temporarily to seek a doctorate degree in Texas, requested a personal interview with three people before he left: the Director of the Laboratory Schools, the Dean of the College of Education, and the Academic Vice-President of BYU, all of whom were in the chain of command involving BY High. Arnett sought assurance from them that BY High would not be closed and that he could continue to teach there after completing his studies in Texas. All three assured him that the crisis was over, and that firm decisions had been made guaranteeing the future existence of BY High School. In December of 1967, however, Arnett was called out of a class and summoned to the University of Texas College of Education office where he was instructed to get in touch with BYU officials immediately. Dr. Glen Ovard took his returned call and said he was notifying Arnett that the next day an announcement would be officially made public that BY High was to be closed. 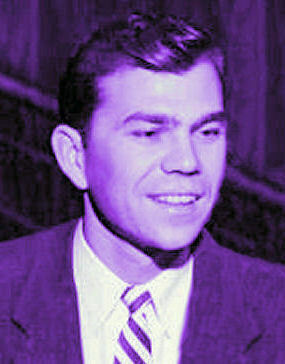 Faculty member Verl P. Allman returned to BY High from a sabbatical leave in Africa in time for the 1967-68 school year. He had taught at the school since 1950, and had learned to love the school, staff and students. Everything seemed to be proceeding normally, and then one Friday morning, December 8, 1967, all of the High School faculty were called to a special 7 a.m. faculty meeting along with the Elementary School faculty. 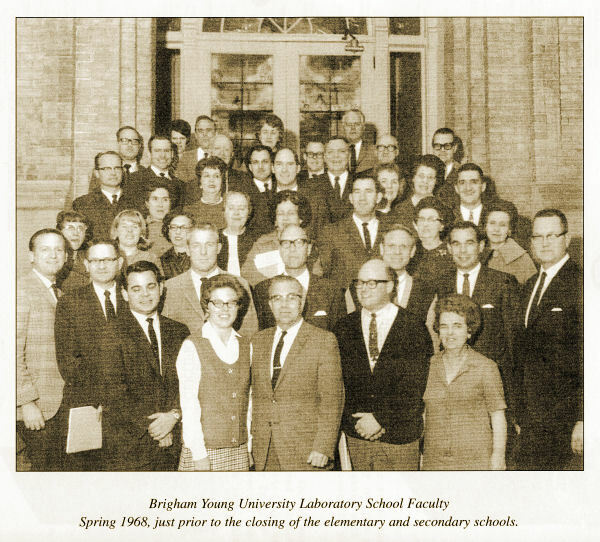 At this meeting, BYU administrators announced that BYU High School, and indeed, the entire BYU Laboratory School system would be closed permanently at the end of the present school year, 1967-68. Many of the faculty were in tears. Later in the afternoon, a special assembly was called for students, in which they were informed of the closure. Again, many students were in tears, some of them having attended the school from kindergarten to their high school years. In just eight more years, BYH was to have celebrated its Centennial. Seniors in the Class of 1968 were able to graduate normally, but Juniors [Class of 1969], Sophomores [Class of 1970], Freshman [Class of 1971], and the classes coming up behind them, could not. Juniors were given the option of graduating early, if it was a difference of just one or two credits. Some did, but most did not want to miss out on their senior year in high school. Once the school closed, students in these classes transferred to high schools throughout Utah County. Twelve classes from 1969 to 1980 continue to maintain personal contacts, and in some cases, hold class reunions. They call themselves "the Ghost Classes of BY High." This includes the Class of 1976 -- they were to have been the Centennial Class. The classes of BY High have been consistently holding reunions, usually at five-year intervals. However, after the closing of the school, many BYH alumni became involved in the effort to save the historic Lower Campus. The effort appeared to be doomed until L. Douglas Smoot agreed to lead the campaign, and against all odds, it finally succeeded. To help celebrate the beautiful restoration of the historic Education Building, BY High alumnae Suzanne Calder Liechty, Class of 1957, and Julie Anderson Clark, Class of 1968, organized an historic All-Classes Reunion for 2001. They researched and invited more than 1,500 living alumni. More than 750 people, ages from 45 to 85, and classes from 1923 to 1968, attended this BY High reunion, including Karl A. Miller of the BYH Class of 1923. The reunion was held on August 18, 2001, in the newly renovated Education Building. 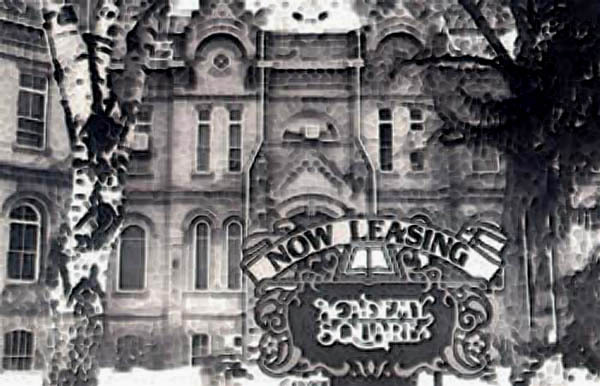 As the alumni toured the renovated building, they noted that the interior of the building had been changed to meet the needs of the Provo City Library at Academy Square. The basement floor now houses the Children's Section of the Library. The hallway on the main floor now has two reconstructed stairways leading to the second floor, as in the original building. The second floor Ballroom is now a ballroom instead of being cut up into cubicles and offices. A nostalgic program was presented in the evening after a dinner. Ed Pinegar, BYH Class of 1952 and former BYH seminary teacher, was the master of ceremonies. Karl A. Miller, Class of 1923, was the first speaker. Richard Gunn, a former BYH art teacher, was the second speaker. Music was performed by Beryl Jensen Smilie, Class of 1947, Gordon Bullock, Class of 1954, and Sue Thompson Heaton, Class of 1967. 1. LaMar Drew (5th grade); 2. Donald Peck (Math); 3. Louis Chatterley (Math); 4. (??? ); 5. Douglas Garbe (Math); 6. (??? ); 7. Don McConkie (History); 8. Don Jesse (Seminary); 9. Irene Ricks (Kindergarten); 10. Ed Pinegar (Seminary); 11. 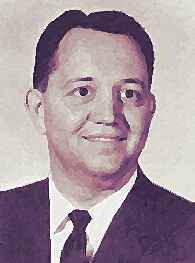 Jerry (Gerald N.) Lund (Seminary); 12. Wallace Montague (Seminary); 13. Leland S. Knight (6th Grade); 14. Verl Allman (Science); 15. Boyd Hunter (Band); 16. Richard Wootton (Counselor); 17. Idell Thurston (Registrar); 18. Donna Lee Turley (Counselor); 19. Thomas Burr (PE / Wrestling & Track Coach); 20. Faye Buttle (7th Grade Core). Also: 21. Anna B. Hart (Reading); 22. June Searle (2nd Grade); 23. Elizabeth Adamson (4th Grade); 24. Roberta Priestly - (Home Ec); 25. June Berry (Librarian); 26. Courtney Leishman (PE / Football, Basketball & Baseball Coach); 27. Ross Hilton (Shop); 28. Garth Allred (French / German); 29. Louise Young (English); 30. Wallace E. Allred (1st Assistant Principal); 31. Jane Storrs (3rd Grade); 32. Lowell D. Thomson (Principal); 33. Mima Rasband (1st Grade); 34. James Blankenship (Art); 35. Fred Webb (Chorus); 36. Barbara Jensen (PE / Girls Sports Coach); 37. Roger Cook (Seminary); 38. Connell Osborne (English); and 39. Hal Williams (Journalism / English). Kay Campbell (Elementary principal); LaMar Hendrickson (English); Owen Bennion (Science); Gary Penrod (History); Tom Babb (Spanish); Kenneth Bowthorpe (Drama); Kay Mendenhall (Business); Shirlene Barrus (3rd & 4th Grade); and Carma Sandberg (Elementary Librarian). Special thanks to Julie A. Clark '68 for providing the identifications. Just when the end of the final school year at BY High was approaching, a terrible assasination took place in Memphis, Tennessee. Martin Luther King, Jr., leader of the American civil rights movement, was shot by a sniper on April 4, 1968. Robert F. Kennedy, then campaigning for the presidency, was just arriving in Indianapolis, Indiana, for a speech. He became aware that those in the audience had not yet heard the shattering news. He delivered a brief speech which burns with raw immediacy. This marked a violent time in American history -- two months later Robert Kennedy was himself assassinated in Los Angeles shortly after midnight on June 5, 1968. Brigham Young High School was closed in what was arguably the most devastating year in American history. It included the Kent State shooting, the assassinations of Martin Luther King Jr. and Robert F. Kennedy, the tumultuous and violent Democratic Party convention in Chicago, the TET Offensive and the My Lai Massacre in Viet Nam, anti-war riots throughout America, the zenith of U.S. involvement in the Vietnam War, and many more tragic events. Historians say there are few other periods in American history that compare in ferocity and cruelty to 1968. Other eras in this sad competition include Civil War years from 1861 through 1865, the crash of the stock market in 1929 followed by the Depression through the 1930s, and the Cold War that followed World War II through the 1980s. In the midst of the tumult of 1968, Brigham Young High School's doors were barred, the stately Academy building turned to vague temporary uses, then shuttered, sold, neglected and vandalized. It marked a sad and distressing chapter in the history of Brigham Young Academy, Brigham Young High School, and particularly Brigham Young University.